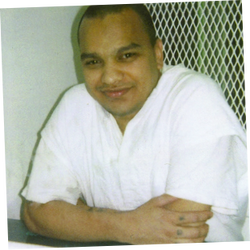 John Manuel Quintanilla, Jr., was executed by the state of Texas on July 16, 2013. John was pronounced dead at 7:32 pm CDT, inside the Walls Unit execution chamber at the Huntsville State Penitentiary in Huntsville, Texas. John was 36 years of age. He was executed for the murder of 60-year-old retired law enforcement officer Victor Billings, a customer at a game center in Victoria, Texas that John and co-defendant Jeffrey Bibb were robbing on November 24, 2002. Jeffrey received a 60-year prison sentenced. John dropped out of school after the 8th grade. Prior to his arrest, he worked as a laborer. John had previously been arrested and given a 10-year sentence for burglary and engaging in organized criminal activity. John had previously participated in at least five other armed robberies. During an escape attempt, John stabbed and sliced guards with improvised weapons and razor blades. Please pray for peace and healing for the family of Victor Billings. Please pray for the family of John Quintanilla.